I would like to share my experience. We are so careless when not understanding the essence we foolishly call the Soul ours and seek its salvation. As a matter of fact, it’s the Soul that is our saviour, for it is God Himself. The Soul is inseparable from Him, and what is invisible inside us is Life in the literal sense of the word, since everything lives owing to Him, He is everything and everything’s in Him, and there is nobody or nothing except the One. And all of us are gods, but we all are one and the same God. He is our essence. Scrolling various wordings in my head, I understood all this was written and told thousands of times in different languages and in different forms, and I read many of those texts myself, and I heard and thought I grasped everything, Oh, how mistaken I was! Only if you feel, you can understand the sense of the above words. Let me describe what happened to me. In 2009 I flew to India to see the great personality Sri Sathya Sai Baba. I stayed in his ashram for just a week, twice a day filling myself with him at his darshan (contemplation of God). At that time I practiced, as I call it, energy sensation and raising. Getting filled with his energies that made my life, I started noticing I no more understood people. Pondering over this I arrived at conclusion it became hard for me to think, probably due to the fact I had not been pondering over anything for a long time and so started growing stupid, but I did not care and continued taking delight in such life. As an amateur in the practice I was raising energy to the point in the middle of my forehead. After a week of such life, when I was lying in my bed on a wonderful night and feeling Love for everything, I suddenly recalled there was a chakra at the head crown. For the sake of experiment I directed energy to that point and felt it was not a point, but rather a channel leading to another point (in about 15 cm above the head). I directed my entire love there, and a miracle of miracles took place: I began to see clearly, I became myself and grasped what I was like in reality. This was perfect bliss. I immediately lost any interest to this “life”, to matter, to learning, since I now knew I could learn everything at any moment if I need (a feeling of connection with the universal knowledge), and I didn’t want to do anything because I knew I was capable of everything. I only wanted to remain in that state and needed nothing else at all. I grasped I was not a human being. And suddenly a thought crept in: “I have achieved this so easily, for everything is indeed easy, and I can achieve it at any time.” The saying was true, but it wasn’t me who said that, and then I was unaware of having an internal enemy. The second thought followed: “Since I have achieved this so easily, it would be great to remain a human being a little longer in order to understand people better.” (At that point I didn’t understand people at all and had just an echo of being a human being in my memory.) Having agreed with such thoughts, I decided to fall asleep and see what would happen. I understood: since I am not the body, I won’t fall asleep, but I did start sleeping. Having woken up, I still had elevated feelings, but was in the habitual state of consciousness. Such event was so satisfactory for my spiritual search that I simply stopped searching. For another month I remained in such an elevated state, but the feelings were fading away day by day because I went back to material life. This story is very similar to the parable of the evil Gui spirit, cited in one of Anastasia Novykh’s books. Satiated with material life, I decided to return Home, but my way back turned out to be not as easy as I had thought, for the power of consciousness became too strong over the time. Now I understand my mistakes. According to my today’s knowledge, that wonderful night I felt myself as Personality, as the Spirit. 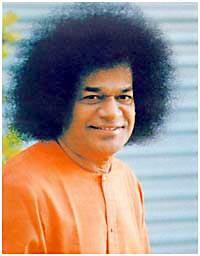 However that was not my own merit – it was Sri Sathya Sai Baba who led me along the entire way. After 7 years another grand miracle happened to me. One fine day I turned the downloaded video interview Life with Igor Danilov, watched it, then started its replay and went to do something about the house, sitting down near the laptop from time to time in order to feel better. That way I spent the entire day. I went to bed at about 10:30 p.m. in order to be ready by 11 p.m. I attempted to direct the entire energy I had accumulated during the day at the Soul, and the Miracle took place: God started slowly coming out of the Soul, filling my body with Himself. At that, consciousness moved to the head, and I felt it had no contact with the One filling the body. I felt myself as a subtle energy and was located around the back of the body. I felt it was indeed God and had no doubt. I felt His greatness, peace, boundless power and omnipresence. He was so close, filling my entire body, but I still felt myself separated from Him. I saw Him and knew He was looking at me, but that was at the level of deep feelings without any image. I felt His invisible gentle paternal smile. He was looking at me as at a baby. I besought Him to give me fusion with Him, understanding I wasn’t ready myself and saying everything’s possible for Him. Then, while staying with Him for a while, with my spiritual sight I first saw a white female dove with its wings spread upwards and later on a gold yellow angel descending on me and radiating white light. His hands were on his chest, his wings were folded behind his back, his eyes were closed, and his face was calm. He was not moving, but was slowly descending towards my chest through my head. Then the vision vanished, and I felt not only God inside me, but the Holy Spirit as well. At that moment I thought the Holy Spirit resided where God was. Then I opened my eyes, since I needed to unlock the door and let my wife in. It was about 00:30 a.m. on the clock. Once I directed attention to the material world God left, though the feeling of the Holy Spirit’s presence preserved for a certain while. And again it wasn’t my merit, but it was the Holy Spirit that guided me. I would like to express my boundless gratitude to God for sending to the world such great pillars of light to help us. And, although they are inseparable from God, I’d like to separately thank Sri Sathya Sai Baba and Igor Danilov for their labour, patience and understanding. This is a real feat to stay in this world in full awareness of Oneself and God. I think it’s a torment for them, but they stay here nonetheless for the sake of our salvation. Yet, what do we do in response?